Galleria Marchetti is an established event space in Chicago Illinois with a history of hosting memorable affairs. In 2013 they began an extensive renovation with the aim of enriching the experience of their patrons by adding elements that connected the outdoor and gardens more seamlessly with the covered areas. 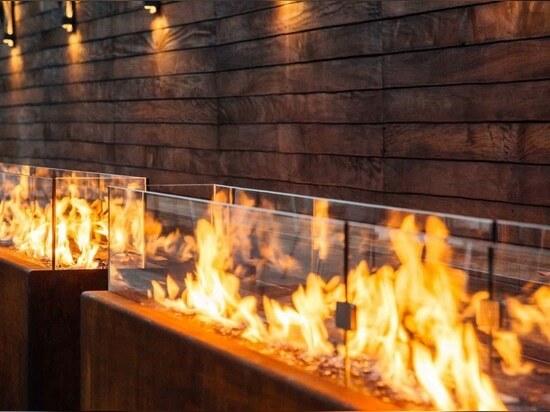 We provided six 3658 mm bespoke Komodo gas fires in Corten steel that were incorporated into the plan to contribute warmth, ambiance and material richness. 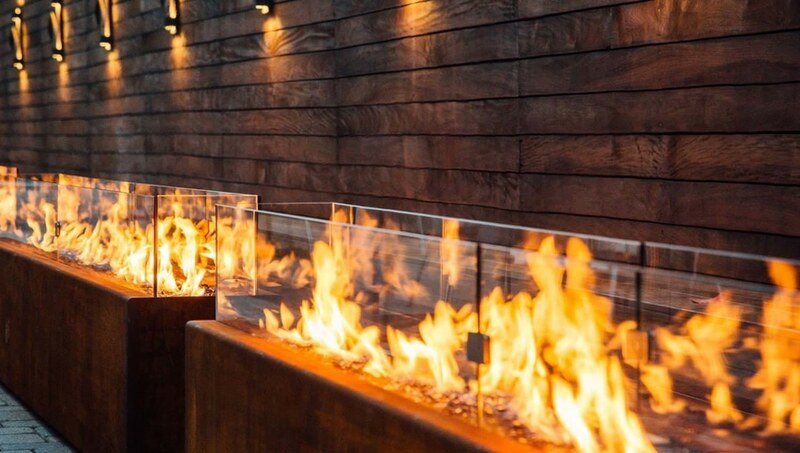 The large bespoke fires were used to transform a long, narrow area beside the main pavilion from a slightly awkward alley into a memorable feature that people are drawn to. We offer bespoke services for projects that require a different scale or a specific proportion that is not offered as part of our collection. 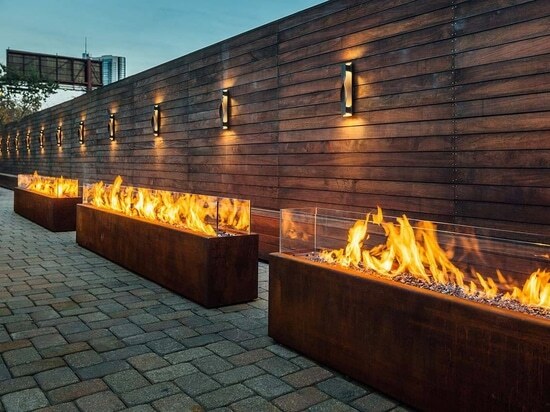 All of our outdoor gas fires are individually made to order from 3.175 mm steel, 6.35 mm powder coated Aluminum, 5 mm Corten steel and high strength concrete that contains 30% recycled post-industrial recycled content. Each one is made with care to the highest quality and certification standards and designed for beauty, function and longevity. 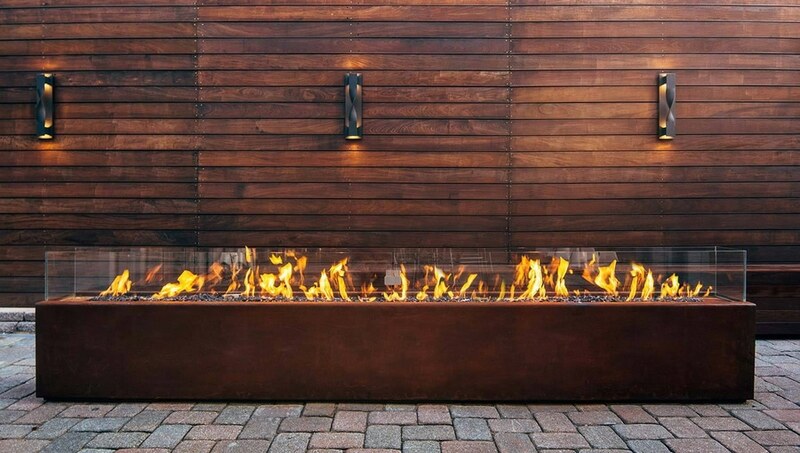 To learn more about our collection and our bespoke fire services visit paloform.co.uk or contact us directly at info@paloform.co.uk. 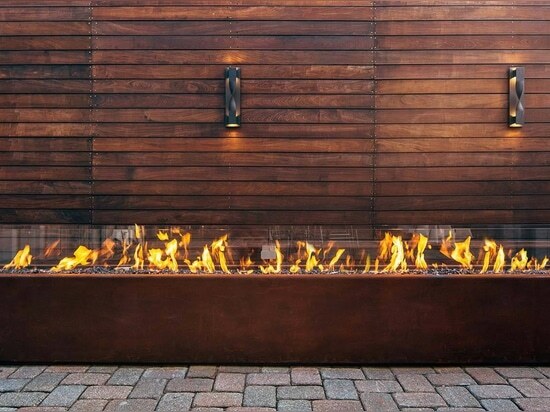 The beautiful, dancing light of fire and the richness of Corten steel warm a gathering area at Galleria Marchetti. 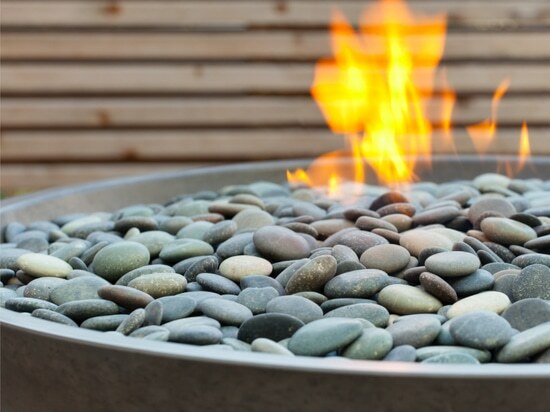 Shown are 3658 mm Corten steel Komodo fire pits with tempered glass screens and lava pebble toppings. 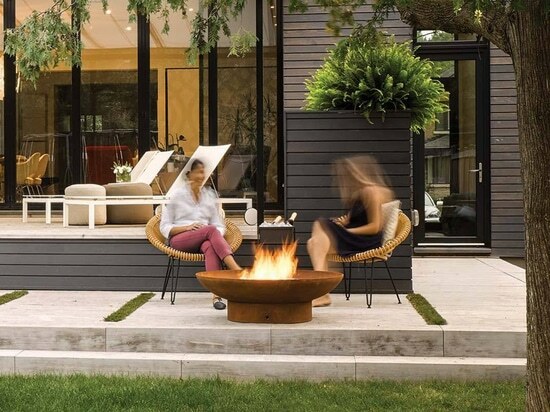 Indoor-outdoor is key for a modern country house. 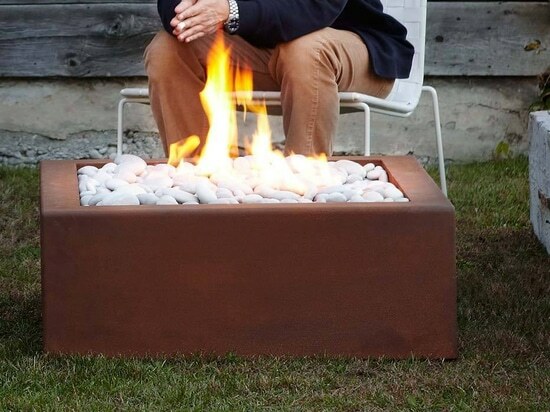 For thousands of years people have been gathering around fires. The draw to the heat and light of open flame is woven into our social instincts. 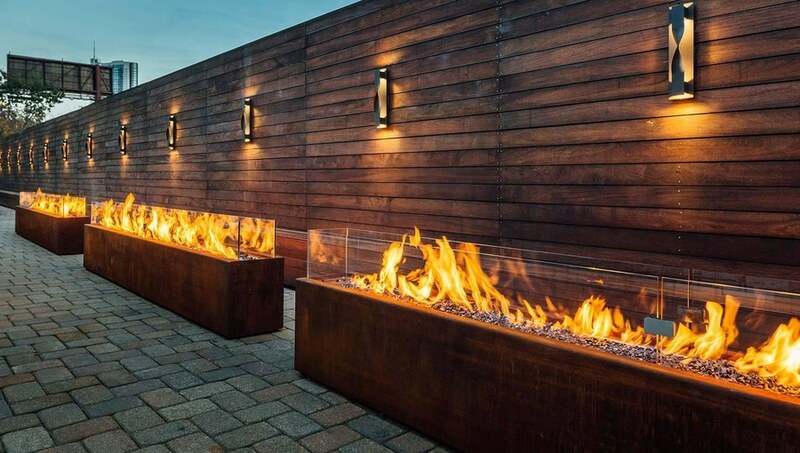 Turning the idea of an outdoor fire pit into a reality can be quite simple if you understand how they work and what to consider.